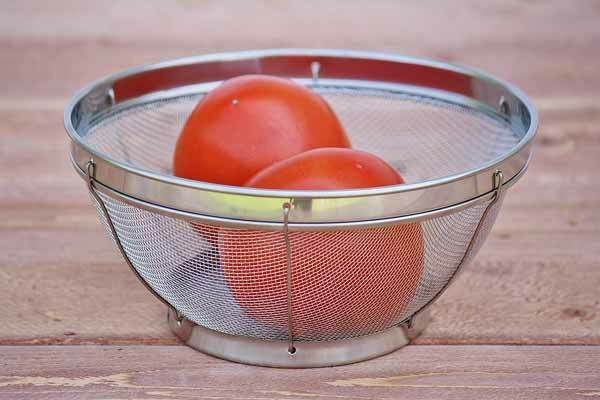 7.5 inch diameter mesh food strainer for rinsing fruits, vegetables, and pastas. Center drip water drainage. Sturdy and lightweight colander!